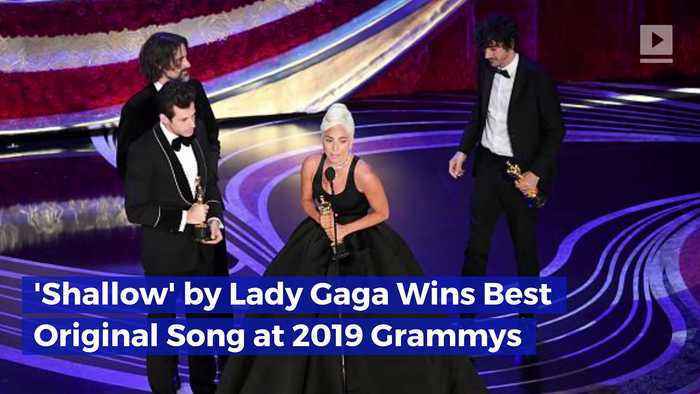 'Shallow' by Lady Gaga Wins Best Original Song at 2019 Grammys "Shallow" was written by Lady Gaga, Mark Ronson, Anthony Rossomando and Andrew Wyatt. Gaga performs the song in the movie 'A Star is Born,' alongside actor and director Bradley Cooper. "Shallow" has already won 14 other awards, including best original song at the Golden Globes and best song written for visual media at the Grammys. Gaga has received a total of three Academy Award nominations in her lifetime, with 'Shallow' being her first win. She was also nominated for best performance by an actress in a leading role. 'A Star is Born' received nominations in four other categories: motion picture, cinematography, sound mixing and adapted screenplay. in the US 'A Star Is Born' has now sold 1,002,611 copies in the U.S., according to Nielsen Music. The rare one million sales milestone usually only occurs when including streams. Lady Gaga is reportedly spending a lot of time with Jeremy Renner, as sources say their new bond could be the start of a romance. Rumors are circulating about Lady Gaga’s love life. According to Us Weekly, Gaga has been “hanging out” with Jeremy Renner. While an insider “doesn’t believe it’s romantic,” they noted..
A Star Is Born stage show in the works Theatre producers are already working on a stage adaption of Hollywood movie 'A Star Is Born', which stars Bradley Cooper and Lady Gaga in the leading roles. 'A..
"Shallow" could hit the top for the first time after its big night at the Oscars. Lady Gaga had confessed she had been practicing her Oscars speech since she was 14-years-old. 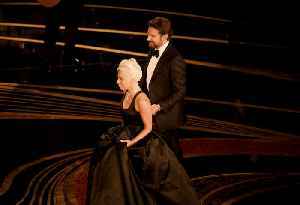 Lady Gaga and Bradley Cooper put on a buzzworthy performance of “Shallow” at the Oscars, and now she’s breaking her silence on the intimate duet.